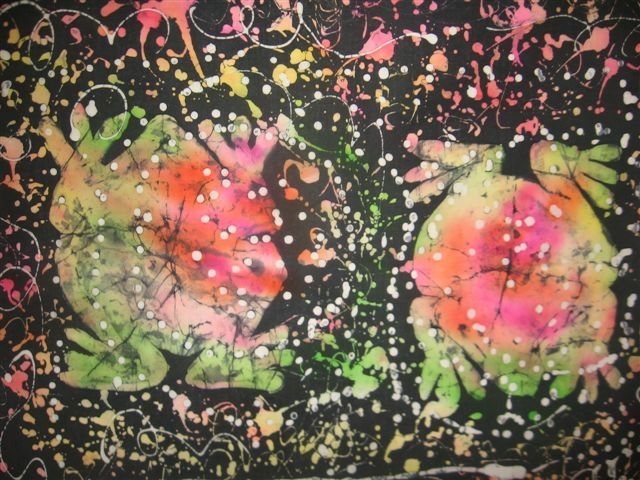 You will learn a new way to dye and embellish, with permanent markers and paint stamping to create a very arty t-shirt. We need to know what size t-shirt you want when you register! You will create a mosaic design of tiles and stones and glass gems in a 12 inch concrete stepping stone mold. Gwen, one of our Zuzak artists, attended Columbus College of Art and Design in Ohio and Donna studied at University of Central Missouri. Together they shared their love of crafts with the Fayette Girl Scouts for many years. Each class size is limited to 10 students, ages 8 or older. Please come by the Zuzak Wonder Store during regular business hours, Thursday - Saturday, 11 am - 6 pm, Sunday, 12 - 5 pm, to reserve your space and pay the fee (refundable if not enough sign up). You may call Gwen Stapleton at 660-248-9818 for more information about the workshops. What? : Learn a variety of basic watercolor techniques. Students will have at least one painting completed by the end of the workshop. When? : Sunday July 29, 1-5pm, and Thursday evenings: Aug 2, and Aug 9 from 6-9pm. Fee? : $140 this includes supplies (each student will receive a set of Prang watercolors and a tablet of watercolor paper). Register at the ZUZAK Wonder Store or email Helen at hsanders@socket.net. Who? 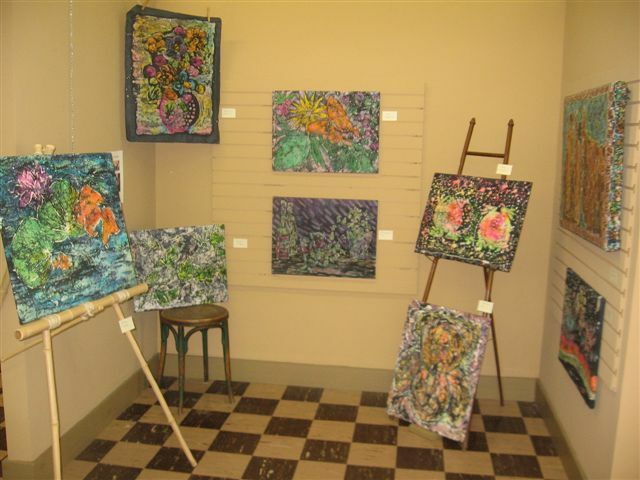 : Helen Sanders currently teaches art at Boonville High School. She has taught art for the past 26 years, some at Kemper Military School, Salisbury and now Boonville. She has a Bachelor of Science in Art Education from The University of Central Missouri, Warrensburg and a Masters in Curriculum and Instruction from William Woods University. Helen lives on a farm outside of Glasgow with her husband, Scott. You will make 2 bracelets, beads woven between 2 leather cords with a button fastener. 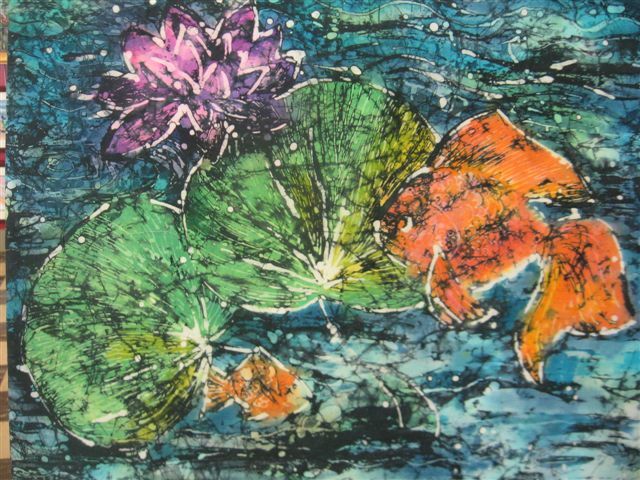 Description: Learn basic Batiking methods, working with hot wax and dyes to create your own personal work of art. No prior experience is necessary, This workshop is for both beginners and the experienced artist. You can come prepared with your own design or drawing for your batik or I will have patterns available for your use. Open to adults 18 years of age or older. 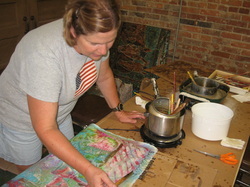 Instructor: My name is Helen Sanders, I am currently teaching art at Boonville High School. I’ve taught art for the past 26 years, some at Kemper Military School, Salisbury and now Boonville. I have a Bachelor of Science in Art Ed. From The University of Central Missouri, Warrensburg and a Masters in Curriculum and Instruction from William Woods University. I live on a farm outside of Glasgow with my husband Scott. 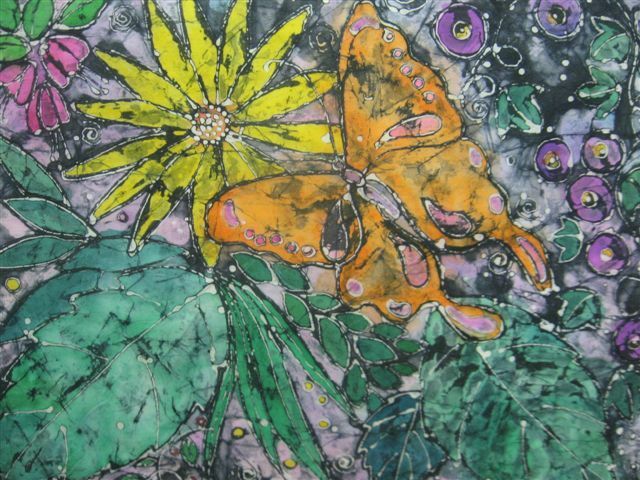 ...and LOOK at the batiks we created! during regular business hours, Thursday – Saturday, 11 – 6 pm & Sunday, 12 – 5 pm. Watch for upcoming learning opportunities at the Zuzak. Recently, 16 students attended a figurative painting workshop led by Billyo O'Donnell. August 25, 2011 Billyo O'Donnell presents a slideshow to begin the three-day workshop. 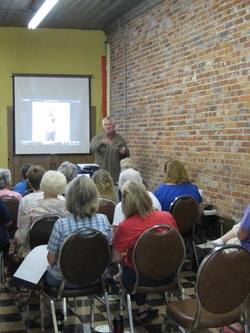 August 25, 2011 Billyo O'Donnell does a demonstration on the morning of the first day. this Billyo O'Donnell workshop August 25-27, 2011. Painting sessions will take place in the Zuzak and historic Thespian Hall. Krista Nicolas is coordinating this workshop. 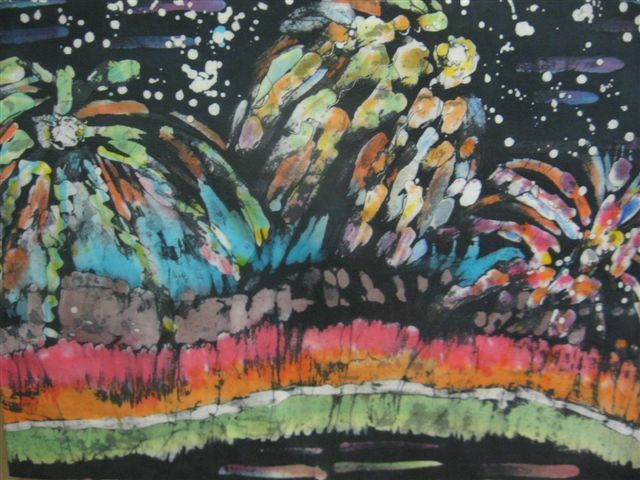 Zuzak Wonder Store and Cooper’s Oak Winery are hosting a class with artist Charles Stegner. His weekly Kansas City classes are known for their entertainment value as well as excellent instruction. 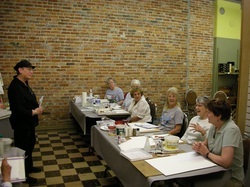 Come prepared to paint, draw, laugh, and learn. Bring your own materials in whatever media you prefer. 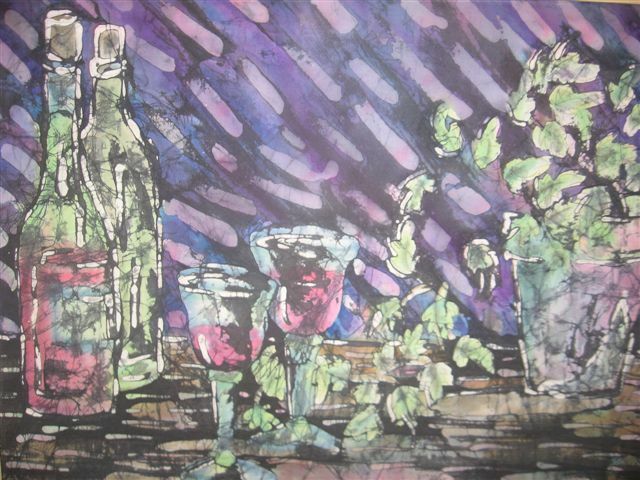 This two-hour class on August 5 includes a glass of wine or beverage of your choice for $20. 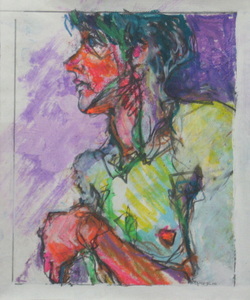 To view more of Charles work visit www.charlesstegner.com . Call the Zuzak at 573-694-1672 to reserve a space or drop by the gallery during regular business hours, Thursday – Saturday, 11 – 6 pm & Sunday, 12 – 5 pm. Wrinkles and Ridges in Watercolor! Watercolor!" This instruction will be using common household and art materials to produce a "texture-filled watercolor painting" after Paul Klee's "Remembrance in a Garden". 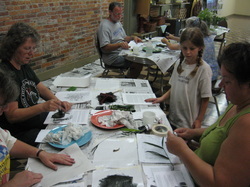 The class is open to any age participant and will begin at 10 AM and continue until 3 PM, with a break for lunch. The morning will be spent learning techniques and the painting will be completed in the afternoon session. Class size: 8 min; 12 max..
Mahoney’s website is: www.colorfulbrushes.homestead.com . Photographer Harry Enderle will lead the workshop teaching basic techniques in cutting mats for framing artwork. Single as well as double matting techniques will be covered. All participants are welcome to bring a photo or print to be matted. ZUZAK's Winter Wonderland of Art Classes! Jan. 20...Jan. 27... Feb. 3, 6:30 pm each Thurs.eve. Offered in 3 sessions by Christopher Bolin, this course will describe the basic materials of oil painting and how to use them, while introducing concepts of looking and composition. Class size: 2 min, 10 max. Jim Smith will offer a workshop in Lashing (knot-tying) Techniques for creating a plant stand or art easel with bamboo & hemp cord. Materials provided include Jim’s home-grown bamboo. Taught by Amy Humphrey, find out why crochet has exploded in popularity in recent years! This overview class will introduce students to the basics of crochet, including choosing yarn, reading patterns, and basic stitches. Also in the works are classes in watercolor with Catherine Mahoney and a 3-minute playwriting workshop with Meredith Ludwig. Many of these workshops have limited enrollment and you must pre-register with payment to reserve a space. Registration is at the ZUZAK Wonder Store, 311 Main St, Boonville, MO. For more information call the gallery at 573-694-1672 during regular hours, or just stop by. Connie will introduce the craft of TWINING - most will recognize it as the structure of a paper plate holder.